Eco-friendly. Unlike most trees used for hardwood flooring, bamboo grows extremely fast and can be harvested over and over again from the same plant. Whereas trees may take up to 100 years to reach their full size, bamboo matures within five years, making it a sustainable alternative to hardwood flooring. Affordable. Because bamboo is abundant and easy to grow, bamboo flooring is less expensive than traditional hardwood flooring – often by 25-50 percent. Durable. Kids, heavy traffic in the home and even inclement weather can take its toll on hardwood flooring. 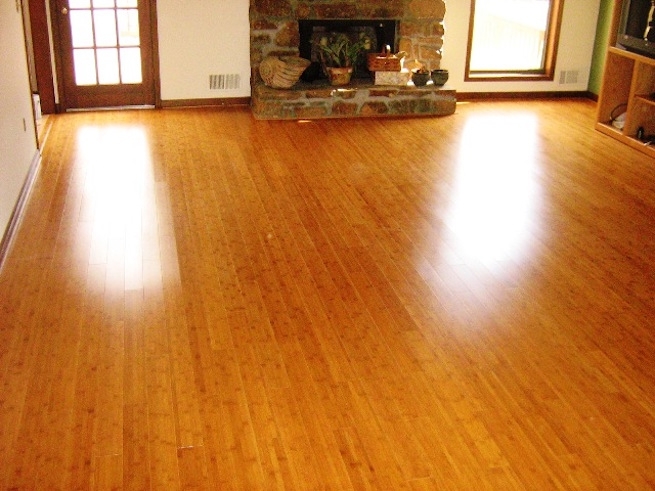 Portland homeowners often choose bamboo flooring instead because it’s highly long-lasting and highly durable. Most bamboo flooring comes with a 10 to 25-year warranty and hardly ever needs refinishing. Versatile. When it comes to flooring, Portland homeowners need a material can withstand lots of rain and mud being tracked indoors. Bamboo can be installed virtually anywhere because it is not sensitive to temperature. It’s also highly resistant in moist climates and can be installed over a number of different surfaces without a long preparation time. Easy to find. It wasn’t always the case, but bamboo flooring has become so popular that it’s now widely available in many different locations, including Portland flooring and home improvement stores.